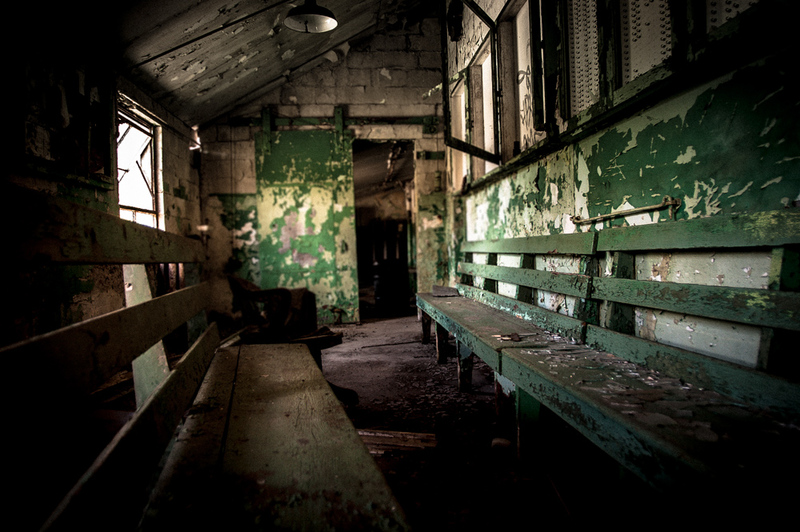 The locker room benches peeling from decades of exposure. How many long days in the deeps of mines began and ended here? I like the decaying green paint. It’s a seeming reminder of busier , more crowded days. That is a great shot. I love the lighting and the details. It is important to record places like that. Perfect POV for this emotive image, Will. The stories it could tell!